Everyone probably has, or had that nosy neighbor that peeks through the fence to check out what’s going on in your yard, while you just wanted to relax and remain undisturbed. Passers-by will always satisfy their curiosity if something in your property gives them a reason to snoop around and scan the place. People also tend to neglect other people’s privacy whenever they find something of interest, no matter if you, maybe, just came home from work and you wanted to rest in your comfortable hammock. So why not make your yard more secluded with some simple additions and installations that can help you keep the unwanted guests at bay and let your creativity have some fun in the process? This is the most traditional, as well as effective way of letting everyone know what area is legally considered to be your private property and, with that in mind, what is off limits, too. There are many shapes and sizes you can order, or even build by yourself if you have the means, but the structure and dimensions of your fence depend entirely on the yard itself. Try to disregard the stereotype that a warm home needs a wooden picket fence to be complete, they only look good, but serve no practical purpose, if you want to add privacy. On the other hand, I’m not saying you should build a fortress, but you should definitely be ready for a huge commitment when it comes to installing a decent fence that will isolate your home from the curious eyes of the world. Oh, and make sure what your policy on maintenance will be like. If you’re up for a wood fence, then you’ll need to focus on repairs and paint jobs, too, but if you want to let this upkeep obligation slide in a care-free, time-saving manner, then choose vinyl, or powder-coated aluminum fences. 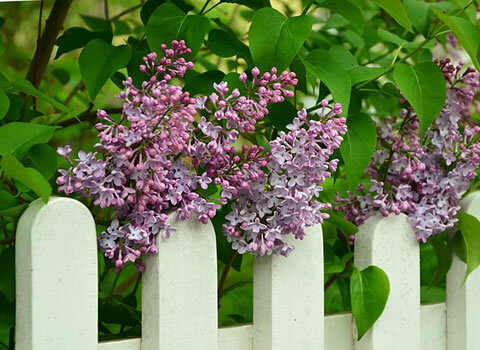 Fences may be a bit unwelcoming and obvious with the statement “get off my property!”, so if you don’t want to make such an impression, one other way to spruce up and isolate your yard with tact and taste is via hedges. They can be a perfect solution, with the same effect as expensive fences and walls, only you have to worry about nurturing this particular natural wall by an occasional watering and trimming. You can choose between evergreen, or deciduous hedges, or even combine several kinds of plants to make it more unique. Also, once your home is thoroughly secluded in this green manner, you can also plant some trees in your yard to give it an additional aesthetical quality, as well as shelter from the warm summer sun. If you have a certain area in your yard that you’re really fond of, then you can just focus on meticulously isolating that particular piece of your property, rather than the whole thing. Contemporary looking waterproof shade sails, for instance, are an amazing solution for both sunny and rainy days, under which you can also add your garden furniture and fixtures for that comfortable, shaded and unique ambience. With enough sunlight, a cold drink and a comfy hammock, nothing will be able to ruin your relaxation time in the outdoors. Maybe you do not want to be completely isolated from your surroundings, so if regular fences don’t do you justice, you can check certain alternative ideas… Delicate lattice is the first thing that usually comes to mind, mainly because it has various purposes and it can be installed anywhere. It doesn’t take up a lot of your yard, but it secludes your outdoor property perfectly. You can even build and install it by yourself, it is not that difficult, and everything else is just maintenance and decoration (shrubs, flowers, climbing roses and vines). Nothing can stop you from making a piece of heaven in your own yard, it takes just a little hard work and some investment. 2 Comments on "Smart Ways to Add Privacy to Your New Yard"